I asked my August 6 guest blogger, Marsha R. West, if she could come at another time to share her wonderful trip to New Mexico because I had eye surgery to remove a cataract last Thursday. 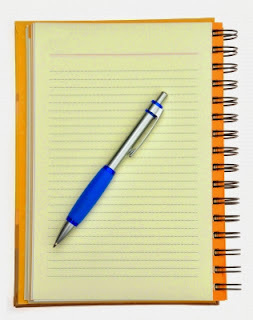 I don't schedule a guest blogger when I'm not around to help the guest's blog. Marsha will share her trip on September 3. The Travelogue will resume on August 13. I'm happy to report the procedure went well. The next day I returned to the doctor for a post-op check-up. She said everything "looked" good. No pun intended. I felt a bit fatigued for a few days after, but the anesthetic will do that to ya'. Feeling good today and looking for complete healing in another month. 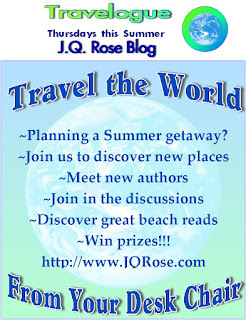 Finishing off the summer Travelogue series are these guest authors and their guest blog dates. 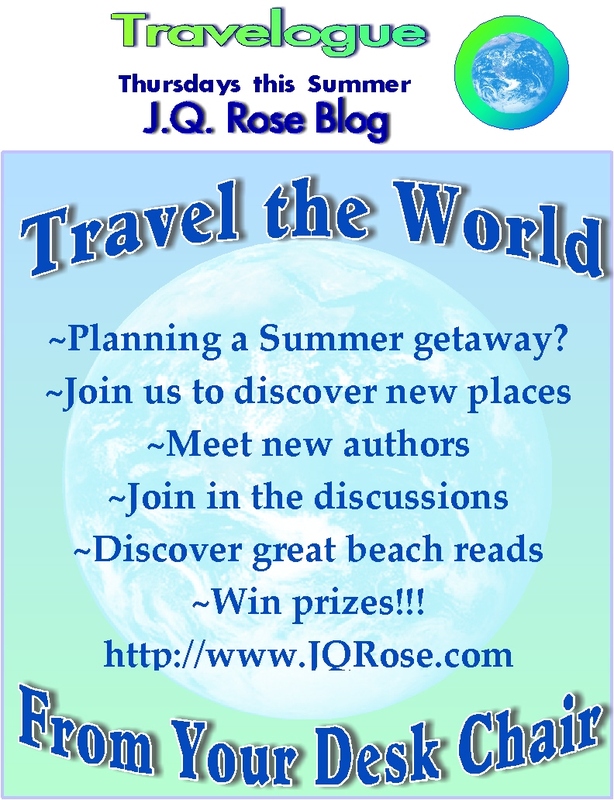 Thank you to all my summer Travelogue authors. My friend, romance author, creative writing teacher, Roseanne Dowell, gave me some tips on my manuscript for Deadly Undertaking. One of her suggestions was to eliminate internal thoughts written in italics. She believes the thoughts pull a reader from the story. What is your thinking on this? Instead of using the italics, Roseanne suggested paraphrasing the thought. A. She glanced at her mother’s portrait on the desk and choked back the lump in her throat. Her beautiful mother was doing well in the nursing home, but every day the dementia attacked her brain, and the mom she knew was disappearing. Oh, Mom, how I wish you were here to help us through this. B. She glanced at her mother’s portrait on the desk and choked back the lump in her throat. Her beautiful mother was doing well in the nursing home, but every day the dementia attacked her brain, and the mom she knew was disappearing. Oh how she wished her mom were here to help her through this. with a front tooth tilted ever so slightly. Definitely come in to my office and maybe into my life. with a front tooth tilted ever so slightly. He could definitely come into her office and into her life. So what do you think? Do you prefer to read the sentence with the italicized thought or a paraphrase? If you're willing to share your preference, please leave a comment below. Thank you! If you'd like to read the first chapter of Deadly Understanding, let me know in a comment below. Check out this earlier post to learn more about this mystery/romance/paranormal. Hi JQ, I'm so glad to hear you're recovering from your surgery. I hope the world is looking a brighter place! That's a great point by Roseanne. In example one, I prefer the thoughts in italics, because I feel a deeper connection with the heroine's distress. In example two, I think it works better without the thoughts in italics. I don't really know why I think that way - maybe because it's not such an emotional moment, more of a humorous aside. It's a tough decision, but I guess in the end it's down to you, as it's your story. And, yes - I'd definitely love to read the first chapter! Glad the surgery went well, JQ. I know it's a relief to have it behind you. What Roseanne is talking about is writing in deep POV. If you're really in the character's head, you don't need to say, she thought...or believed or worried or all of those types of words. You just say it in 3rd person. For your examples, I agree with Helena. I think it works to have the italics on the first, and it's better without on the second. And then of course, rules are only there to be broken for a reason, which I think this is a good example of. It's believed the italics will pull the reader out. Guess it depends. Happy writing. Hi Helena. Interesting you like italics in the first example. I guess it's not a clear black and white rule. So happy you'd like to read the first chapter. It'll be on its way later this week. Hi Marsha. Oh I can tell you're a maverick--breaking the rules, huh? Thanks for helping to clear up the question on italics or not. That makes sense to me! Thanks, Anna, for your vote. I think I'll mix them up with some italicized and some paraphrased, and if the publisher (whoever that may be) editor don't like it that way, I'll have to go with what they want. Thank you for stopping in.